Shipping Dimensions: 15" x 12" x 3"
Sometimes we have an idea for an invention but we don’t know where to start! 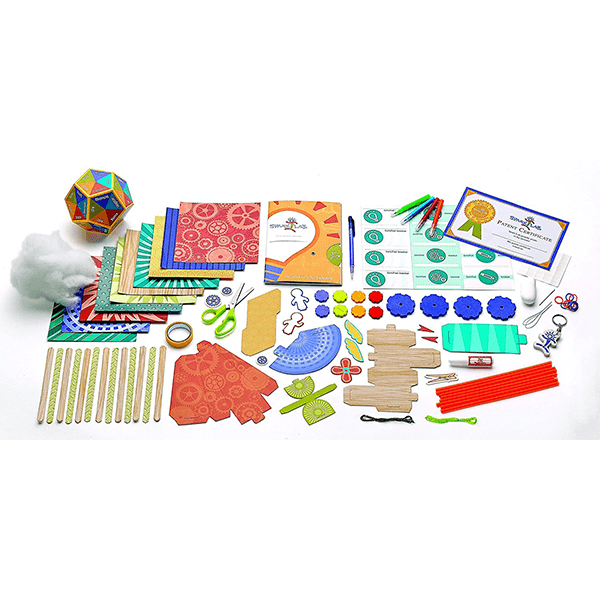 This Inventive Creativity Kit provides the Smithsonian Spark!Lab experience at home by introducing aspiring inventors to the Spark!Lab invention process, the same process used by real inventors. This educational craft will walk them through the building of their first invention, an innovative tree house, while providing them with plenty of supplies for future project. Think it! Explore it! Sketch it! Create it! Try it! Tweak it! Sell it! Use the Spark!Lab invention process and with the tools provided, create your own invention. Includes materials to guide you through the steps to create an inventive tree house plus so much more to spark your original ideas. 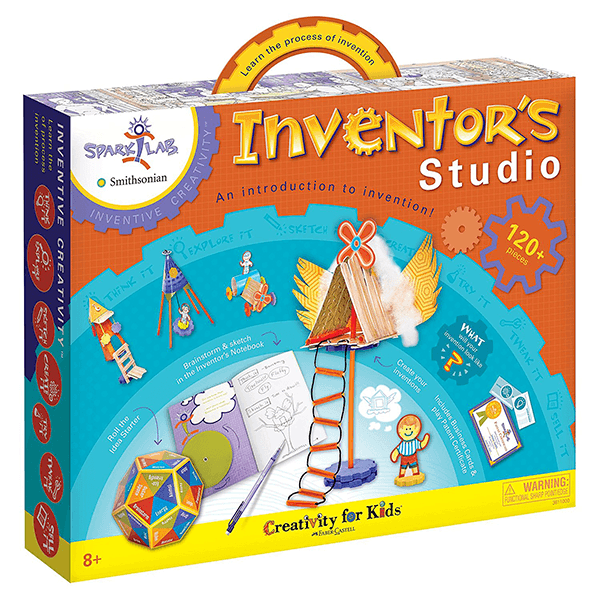 If You Liked Creativity for Kids Inventor's Studio, See More Related Products Below!